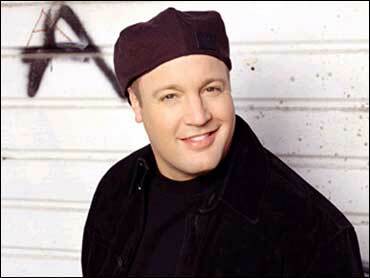 Kevin James not only stars in "The King Of Queens," he also serves as one of the show's executive producers. He is nominated for outstanding lead actor in a comedy series for his work on the show. James made the transition into television after being discovered at the 1996 Montreal Comedy Festival, where he signed a development deal to create his own show. He was also cast in a recurring role on "Everybody Loves Raymond" with his friend and fellow comic Ray Romano. Also a successful standup comedian, James was inspired by comedic idols such as Robert Klein and Jerry Seinfeld. James starred in his own one-hour comedy special, "Sweat the Small Stuff" on Comedy Central, and he makes regular appearances on the "Late Show With David Letterman." He tours the country performing his standup act. James most recently starred in "Hitch" with Will Smith and Eva Mendes. James voices the lead character, Otis, in the upcoming Nick Movies feature "The Barnyard." He was born in Mineola, N.Y., and raised in Stony Brook, N.Y. He now lives in Los Angeles.